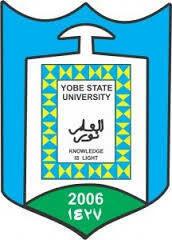 Yobe State University, YSU Postgraduate Admission Form, Available Programmes, Admission Requirements, Application Guidelines and Deadline for 2018/2019 Academic Session. The sales of scratch cards (for application) will commence from Monday, 21st January 2019 and to close on Friday, 8th February, 2019 (Two weeks). Applicants should purchase the said Scratch Cards in Zenith Bank PLC, Damaturu at the cost of Seven Thousand, Five hundred Naira (N7,500) only and to apply online at www.pgschool.ysu.edu.ng. b. The sales of Scratch Card for Online Application begins on Monday, 21st January 2019 and closes on Friday, 8th February, 2019 (Two weeks). Records are forwarded to the School of Postgraduate Studies in earnest. Applications without Official Transcripts of Academic Records shall not be processed. Note: Duly completed Online Application Forms should reach the School of Postgraduate Studies, on or before Friday, 8th February, 2019.